COMPARE TO: Whatever janky iron you currently own. FUN FACT: According to a poll, 9% of people enjoy ironing. But can they cook, though? All of this will make your life easier, but what&apos;s really cool about the 360 Quick is its awesome design: half-shark, half-Starship Enterprise. 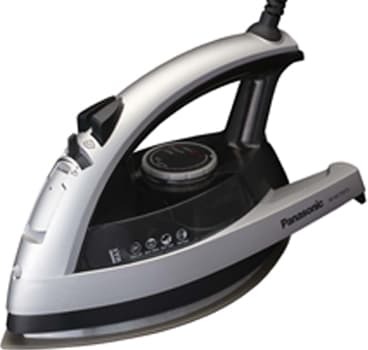 We thought "sleek iron" was an oxymoron until we saw the Quick, in which the design feels like an integral component, not just an afterthought. We could&apos;ve used a retractable power cord but that&apos;s a minor quibble. Seriously, spend an extra $30 (that you&apos;d probably end up spending in dry-cleaning costs) and invest in an iron that&apos;ll you use for a long time...or at least your girl will. • CLICK HERE TO SEE MORE COMPLEX TECHNOLOGY STORIES!